Live Long AND Break Through Plateaus! — Our Idahome for Better Fitness and Health! Chances are you haven't heard that your cardiovascular health and your overall longevity can benefit greatly from working on your grip strength, aerobic capacity (VO2 Max), and leg strength. In general if you work on getting fitter over time, then you develop a buffer against chronic disease, which benefits your overall health. To see how fit you are initially, and test your improvement of your fitness over time, which should correlate to how long you'll live, you can be do this every month. Now if it seems like you are hitting a plateau, and getting the same results every time, then you can definitely vary any element of this training session, in terms of the time domains, loads [(kinds of) weights carried], and even the exercises used for testing your leg strength. You would be similarly testing your grip strength with the bag hang, your aerobic capacity with the Airbike, as well as your leg strength with the lunges. By varying up when/how much/what exercises you do, but with the same principles in mind of attacking your same weaknesses, then you're bound to break through plateaus that you have been seeing in your training. 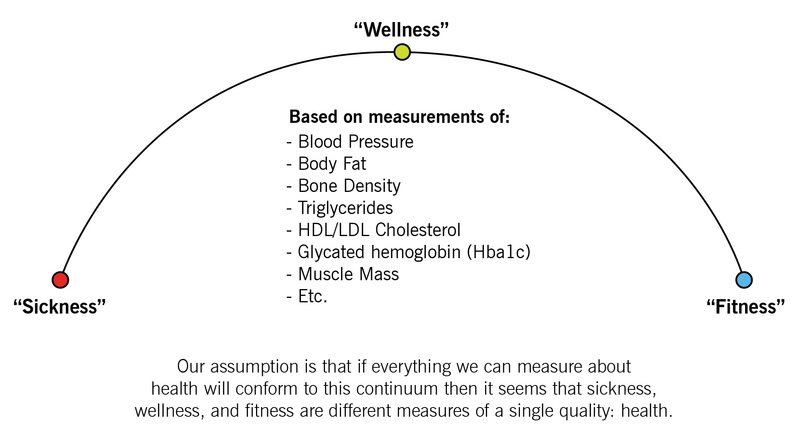 Overall, if you're able to train at least those 3 aspects in every training session, then you're more than likely to move yourself up the sickness-wellness-fitness continuum towards the "Fitness" side, which ultimately helps your live longer and healthier. Come try out our Idahome Longevity Test for free every last day of the month for the rest of 2018! The first one scheduled is on January 31st, so be sure to contact us to set up a time for you to come try it out for free!